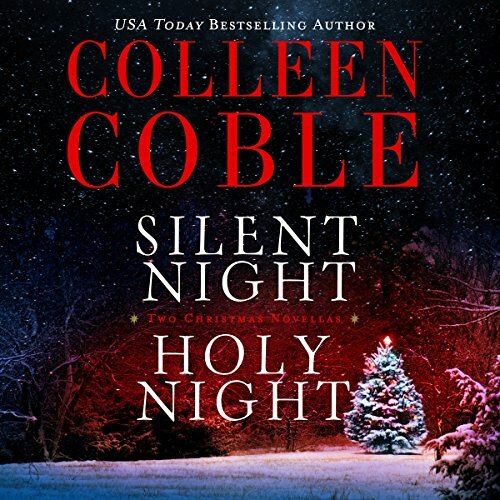 Tis the season for mystery and romance featuring characters from two of Colleen Coble’s most popular series! As Christmas day nears, Bree Matthews and her faithful search-and-rescue dog Samson follow the trail of a troubling mystery into the snowy forests of Rock Harbor.Newlywed Bree Matthews and her husband Kade are preparing for Christmas guests when word arrives that a parachuter has disappeared in the North Woods, along Lake Superior's icy shore. Bree and Samson plunge into the search. One sinister phone call has derailed their Christmas wedding. Will it keep them apart forever?Leia and Bane are looking forward to their long-awaited Christmas wedding on the beach. Everything is going as planned - until Leia's phone rings and her world skids out of control. A muffled voice informs Leia that her sister has been kidnapped and will be killed unless Leia calls off the wedding without explanation - and no police. If she disobeys instructions and tells Bane, she'll risk her beloved sister's life. But can she handle this trauma without his help? And will he ever trust her again if she lies to him now? This was another great story from Colleen Coble. I haven't read one of her books that didn't tear at the heart and remind that Jesus Christ is a major part of everyone's life. Bree is recovering emotionally from a miscarriage but is looking forward to sharing Christmas with her new husband, Kade. The guests will include Kade’s twenty-one year old sister, Lauri, who arrives early before Bree has finished painting her room. Although Bree is working overtime trying to get ready, she steps out quickly to take her search and rescue dog, Samson, (Cry in the Night, Rock Harbor Book 5) on the hunt for a missing parachutist. Bree and another rescue friend don’t find the young man but instead find Lauri curled up in the snow. Lauri’s mysterious connection with the parachutist and concern about a missing back pack raises suspicions with Bree. I always like search dog teams although that was a small element of this story. I liked the characters of Bree and Kade and might enjoy their full story. This novella had a little mystery, a touch of emotional issues regarding infertility and adoption, and of course, some Christmas spirit. Leia is committed to caring for her sweet, twenty-one-year-old sister, Eva, who has Down syndrome. Leia has issues of abandonment stemming from her childhood and had previously left her love, Bane, behind (Dangerous Depths, Aloha Reef Book 3). It has taken a long courtship for Bane to get Leia to the altar and even Eva is excited to help prepare for the Christmas wedding. Bane is former military and his brother is a police officer. They have enemies from the past who will do anything to take away Bane’s future happiness. A kidnapping has Leia pulling away again and Bane isn’t sure their relationship can survive without trusting each other. Again, I liked these characters and the quick plot development. There was good danger and tie-in to the issues that impacted Leia and Bane’s past relationships. They clearly have to work things out before they tie the knot. This novella has danger, emotional issues, and a very sweet, if brief, attitude from Eva about Christmas. Each story is nice, if not stellar. There is good evidence of Colleen’s lovely, straightforward and easy writing style. Readers familiar with the series might enjoy the quick novella offerings. And, the romances with real life issues might pull new romance readers into searching out more about the series. Audio Notes: I think I was not overly impressed with the narration and maybe that is why the reading experience was just “nice”. I felt this was more of a reading than an effort to enhance the characters with different voices. It didn’t pull me in and this is a book that might be better in print or digital. this book had some depth with some sibling differences as well as a nice little mystery to solve. enjoyable reading.